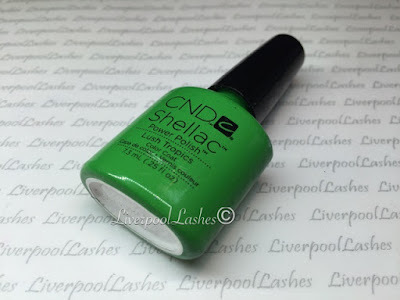 I remember when CND Shellac in Lush Tropics was released and I was so excited. There's something about that shade of green that makes my eyeballs happy. I don't know whether it's because I'm a brunette so in terms of clothes it really seems to compliment my hair colour. 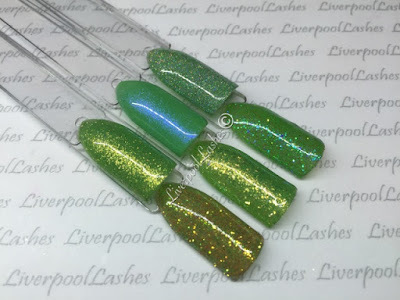 I do however find that when it comes to nails, greens are not quite as popular so it's really worth showcasing them as their best. For that reason I have come up with a few colour combinations for you to try and add to your colour pop rings. I actually really adore all of these combinations, if you have Lecente Stardust in Neptune then its an absolute must to try out. Also, I harp on about this glitter but Lecente Stardust in Starlight is a glitter that perfectly pairs with any colour underneath it beautifully.